If you want a reading right now, try these suggested readings or...book a scheduled appointment with us. 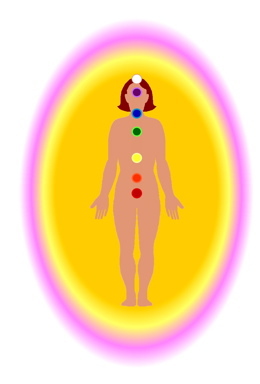 In a clairvoyant reading, the reader looks at your energy system as represented in the seven layers of your aura. Along with colors, a reader may see memory pictures, symbolic images, spiritual beings, and usually, other people's energy. A clairvoyant reading can help you identify and release blocks. These readings also help you get in touch with your own energy, so you can know your truth, and make the highest choices for yourself. See clairvoyant aura readings. In a past life reading, the reader can open a window into experiences from previous lives. The reader can see who you were, where you were, what you were doing, who else was there, how you felt, etc. These past life experiences can still be affecting you in this lifetime. It can be useful and healing to have someone else validate you as a soul-in-journey in a past life reading. Phone readings are a convenient way to gain insight in the comfort of your own home. Just like in-person sessions, phone readings can help you identify and release blocks, get in touch with your own energy, and make the highest choices for yourself. Options for Phone Readings include Aura Readings, Past Life Readings, Creating Your Own Reality, Workpath Readings, Relationship Readings and many more. You may also want to find out how to get the most benefit from your phone reading. Are you interested in getting a reading, but don't know how to choose from all the different clairvoyants in the market place? Some factors that are useful to consider are: the type of reading, time and availability, your budget and your own intuition! Find out more about choosing a clairvoyant. The process of incarnating into a physical body, living, dying and then returning to repeat this cycle is called reincarnation. Depending on the choices you make, you send different ripples of energy vibrating out into the universe. All vibrations you send out into the universe eventually cycle back to you in the form of karma. Find out more about reincarnation and karma. A chart of the placement of planets at the time of your birth is known as a natal chart. Your soul has chosen to incarnate at this particular time, into this particular body, for a reason. The placement of the planets reflects your soul's intention to learn something during this lifetime. Both strengths and weaknesses of your personality are outlined in natal charts. Book an energy-based Psychic Phone Reading. Copyright 2006-2019 THE-AURAS-EXPERT.COM All rights reserved.